So, yeah – I clearly went to this with the family over the weekend. You know what? It’s not bad! For a family movie. Well, it’s actually not bad for a movie in general. Hubby & I often say that they don’t seem to do as many non-animated “family films” nowadays. We had so many growing up in the Eighties! I miss them. And now that I have a young kid, I want more of them again. 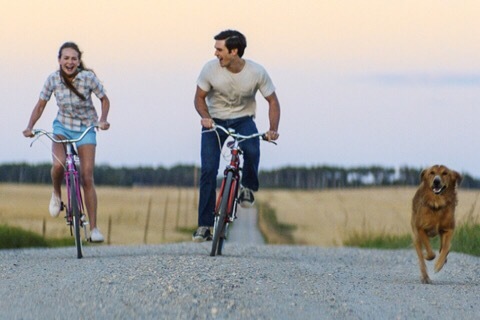 My main concern beforehand was that this movie would be overly sentimental or, even WORSE and a massive pet peeve of mine, that it would be preachy. I hate movies that shove their values down your throat! 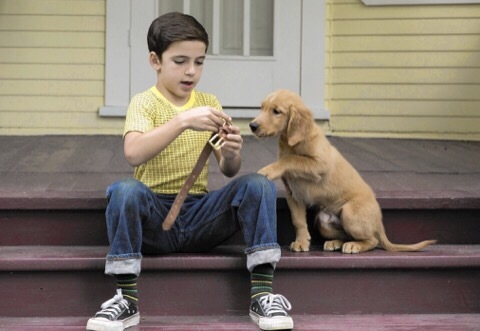 Luckily, A Dog’s Purpose doesn’t do this. It tells the story in a straightforward way and it’s obvious message (of what things are truly the most important in life) isn’t at all heavy-handed. It comes fairly close to being like all my beloved 80’s family films I saw on TV all the time growing up. Plus, of course, it has cute dogs. Who doesn’t love cute wittle doggies?! 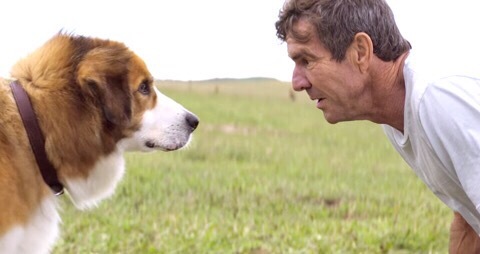 A Dog’s Purpose was a pleasant surprise and a nice return to an old-fashioned family friendly film with a positive message that occurs naturally instead of feeling forced. Will you enjoy it even if you don’t have a family? I think any dog lover certainly will. And with several different stories, you’ll find one or two that you connect with the most. 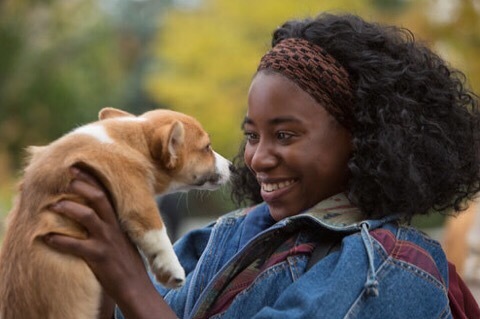 I liked the main story focusing on the dog as a golden retriever named Bailey, which is the personality the dog continues to identify with and remember through all his lifetimes, and the story where he’s a corgi named Tino belonging to a lonely college girl. I guarantee you’ll love Bailey, no matter which form he takes. And as an added plus, the human characters are likable as well! 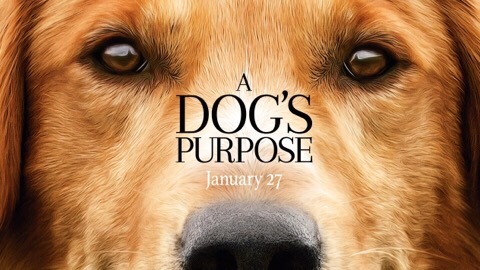 FYI – I’d heard nothing of the controversy surrounding this film due to a video of alleged animal abuse that made the rounds just as this movie was released in the US (maybe that’s why it has come out so much later in the UK). Anyway, as with most fake news, I’m sure that faked video was spread around far more than the story of the investigation that showed it was re-edited to make it look like animal abuse. Here’s the story (from Los Angeles Daily News). Hopefully no one’s career was ruined. We all care about animals being treated well but I often wish humans cared half as much about other human beings as they do animals. Hands up, I cried at the first death, despite knowing the twist. Why? It was the way that even as he was dying, Bailey was still thinking about cheering up his owners. How can that not break your heart? Seriously though, I can watch tearjerkers about humans painfully dying of cancer with a dry eye, but the second a dog has a slightly bad day, I am an emotional wreck. What is wrong with me? Maybe it will inspire there to be more non-animated family films?